Twenty-four men have held the ROH World Title, including some of the biggest stars in the industry. Today, Jay Lethal officially moved into the top spot on the list. Lethal, who is in his second reign as ROH World Champion, has held the title for a combined 646 days, moving him past Samoa Joe -- who held the championship for 645 consecutive days in 2003-2004 -- for most days as ROH World Champion. When asked about surpassing Joe, who was a mentor to him, Lethal showed the humility one has come to expect from him. It’s fitting that someone who has been dubbed “The Franchise of ROH” and exemplifies what it means to be a champion would hold the ROH World Title for more days than anyone else. Lethal also shares the record for most successful title defenses (38) with Bryan Danielson and Nigel McGuinness. 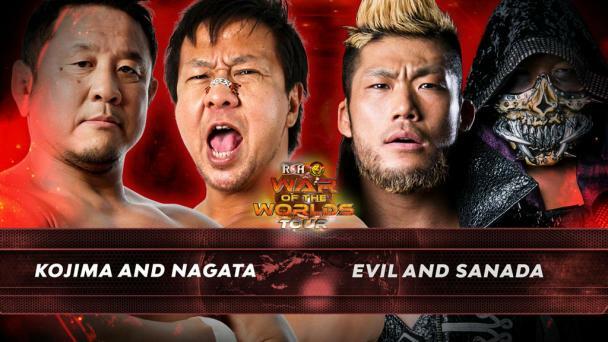 The list of competitors Lethal has successfully defended the title against reads like a who’s who of the best wrestlers in the sport, including: AJ Styles, Cody, Adam Cole, Will Ospreay, Roderick Strong, Jay Briscoe, Dalton Castle, Kyle O’Reilly and Satoshi Kojima. Lethal won the title for the first time at Best in the World on June 29, 2015, when he defeated Jay Briscoe in a match in which both Briscoe’s ROH World Title and Lethal’s ROH World Television Title were at stake. Lethal is the only man to hold both championships simultaneously. Lethal held the title for 427 days before losing it to Cole at Death Before Dishonor on Aug. 19, 2016. Lethal subsequently got involved in some personal rivalries that took his focus away from regaining the title, but early in 2018 he made it known that he was determined to wear the gold again. He got his opportunity in a Four Corner Survival Match on June 30 against then-champion Castle, Cody and Matt Taven, and he pinned Castle to become the fourth man to regain the ROH World Title. 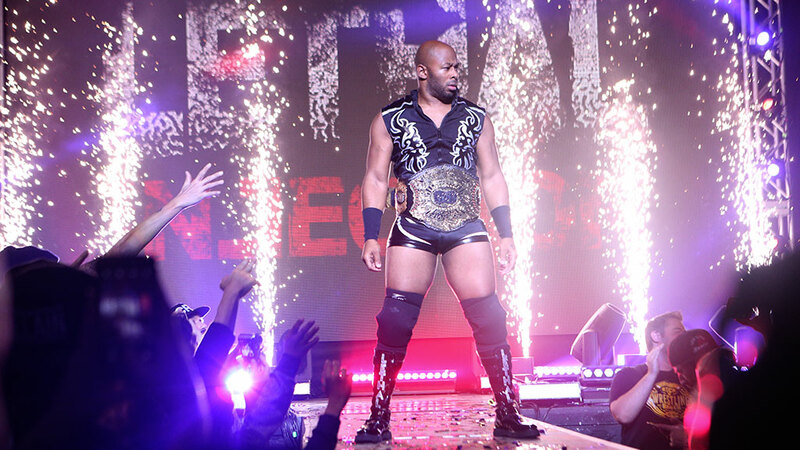 Lethal hopes to make more history by walking into sold-out Madison Square Garden in New York City on April 6 for G1 Supercard as the ROH World Champion. It will be the first time the title has been defended at The World’s Most Famous Arena. Successful title defenses, tying him with Bryan Danielson and Nigel McGuinness for the most. Days for his first reign, which is the fourth-longest. Days for his current reign. Different competitors he has successfully defended the title against. Combined days as a singles champion in ROH, by far the most. The breakdown: 798 days as ROH World Television Champion; 646 days as ROH World Champion; and 63 days as ROH Pure Champion. 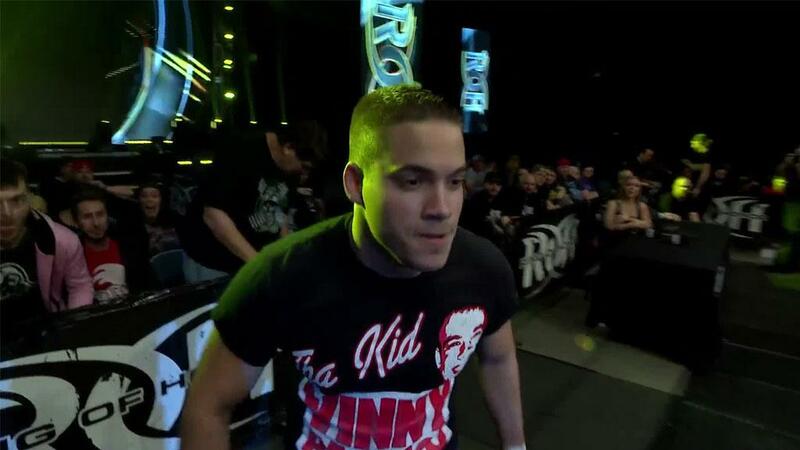 Times he defended the title at Final Battle, ROH’s biggest show of the year. He defeated AJ Styles in 2015, and Cody in 2018. Challenger to take him to a 60-minute draw in an ROH World Title match: Roderick Strong at Death Before Dishonor in 2015. Lethal defeated Strong in a rematch the following month.